Home » India » A Wild Weekend! If like Jo, any of you have lost track of where I am in my current adventures, let me get you up to speed. To see a tiger in the wild has been a lifelong dream of ours, and when a dear friend invited us to join him for a safari at the Nagarhole (Kabini) reserve near Mysore, R & I readily agreed. Mr. Tiger stubbornly refused to make an appearance, but we were amply compensated by the sight of Mr. Leopard below, who put on a mesmerising performance for a good 45 minutes, before strolling off nonchalantly into the bushes! Our daughter, having been on safari to South Africa just this past year, sniggered at our lone cat sighting, but I was undeniably ecstatic as I had never seen a big cat in its natural habitat before! These images aren’t the greatest, being as they are my first attempt at wildlife photography with pitifully inadequate equipment. But that doesn’t take away from Mr. (Torn Ear!) Leopard’s star quality 🙂 Isn’t he magnificent? This lady, relaxing on top of a branch, was farther out and barely qualified as a ‘sighting’, but I thought she was perfect for this week’s Daily Post Photo Challenge! We saw many other less elusive animals and birds, but the highlight of the weekend for us, was getting to watch a herd of elephants up close, and to be privilege to a moving display of tender maternal emotions. Their amazing dignity in the face of human interference was humbling and left me with goosebumps. Our long weekend actually began in Mangalore, with a cousin’s 80th birthday celebration, where I met more cousins than I thought I had! And while there, we got to attend a “Bhuta Kola’ – a ritual dance of divine spirits – indigenous to coastal Karnataka. But that is another story that I hope to get out before I set off for La Serenissima. Stay tuned……. I have been on a safari a couple of times, but never really spotted a cat out in the wild. We have had near-spottings, though, but nothing close. 😦 It is my dream to do so, at least once. Thank you. You should allow yourself at least four safaris over a two night stay in the least. 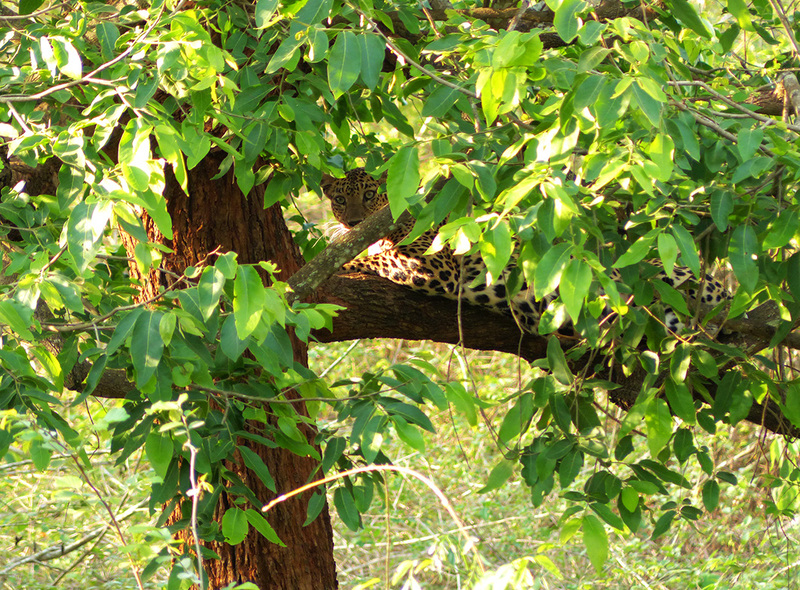 There have been a lot of sightings in Bandipur as well as Kabini. In fact people in our lodge saw tigers on two days while we were there….our luck wasn’t as good. The leopard was great consolation though. Never been on safari, but I understand the feeling of seeing an animal in the wild. We were in Yosemite one year when a bear cub walked in front of our car. We’ve also had a close encounter with an antelope sprinting across the highway in NW Utah. Luckily there was no one behind us. Your national parks must be amazing for wildlife spotting. Have never heard of people going to the US fro safaris though. Does that happen at all? 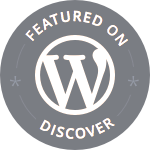 Hi Madhu, I’m catching up too – this post was a wonderful way to start my day. Those leopards are beautiful – but I was most impressed by the behaviour of the elephants. They could teach we humans so much about solidarity and family in times. You are so right that it is sad to see how such huge animals see we puny beings as dangerous predators…. Thank you MM. Getting to watch those elephants up close was strangely moving. As you probably know, I have had a lifelong love affair with cats, and I especially like the big ones. You have some beautiful visual captures here. Thank you Shimon. I adore your photos of your cats. This wildlife thing can get addictive! We were never very avid jungle goers before, but we are already talking about a repeat visit!